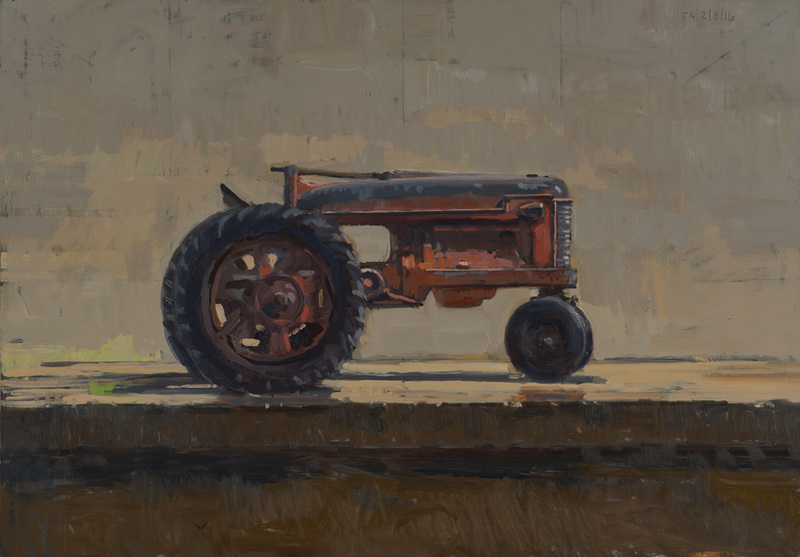 Fred Anderson "Olga in Her Garden"
image: 22 x 18" | frame: 25.5 x 21"
Fred Anderson "St Michael Rain"
image: 9 x 12" | frame: 12.5 x 15.5"
Fred Anderson "Lionel Engine and Tender"
image: 12 x 16" | frame: 15.5 x 19.5"
Fred Anderson "House on Center Ave"
image: 16 x 12" | frame: 19.5 x 15.5"
image: 22.5 x 14" | frame: 26 x 17.5"
Fred Anderson "Front Porch Looking East"
image: 24 x 17" | frame: 28 x 20"
image: 14 x 42" | frame: 17.5 x 45.5"
Fred Anderson "Backyards Spring Time, Delano"
image: 22.5 x 20" | frame 26 x 23.5"
Fred Anderson "Toy Metal Tractor"
image: 13 x 19" | frame: 16.5 x 22"
Fred Anderson "Farmstead on Co Rd 9"
image: 16 x 11" | frame: 19 x 14"
Fred Anderson "Cottonwoods, Hidden Falls Regional Park"
image: 12 x 16" | 15 x 19.5"
Fred Anderson "15th Ave E., Duluth MN"
image: 12 x 16" | frame: 15.5 x 20"
Fred Anderson "Toy Boat on a Table"
image: 6 x 16" | frame: 8.5 x 18.5"
Fred Anderson "Path Near the River"
image: 14 x 12" | frame: 17 x 15"
Fred Anderson "Jay Cooke State Park"
image: 9.5 x 12" | frame: 11 x 14"
Fred Anderson "Horse and Rider Pull Toy"
image: 12 x 14" | frame: 15 x 17"
image: 16 x 12" | frame: 19 x 15"
Fred Anderson "Yard on Eliot Ave S."
image: 11.5 x 15.5" | frame: 15 x 18.5"
image: 7.5 x 8" | frame: 16 x 16"
Fred Anderson "House on Morgan Ave S"
image: 13 x 13" | frame: 17 x 18"
image: 24 x 17.5" | frame: 27.5 x 21"
Fred Anderson "Late Summer Shadows"
Fred Anderson’s imagery is simultaneously personal and seemingly familiar. 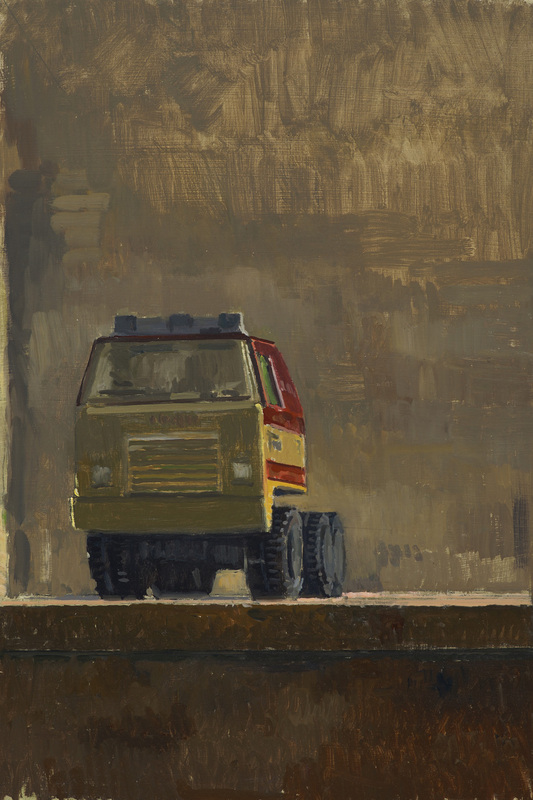 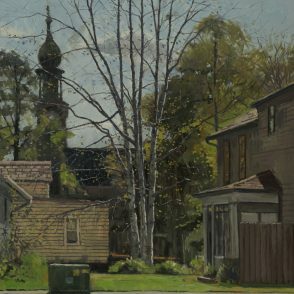 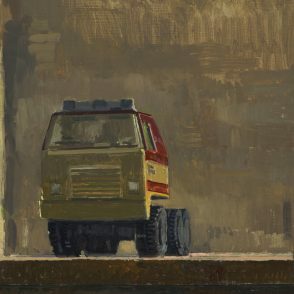 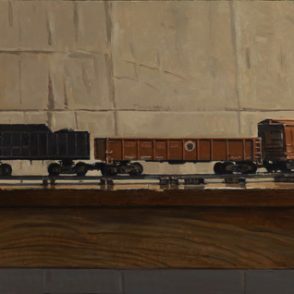 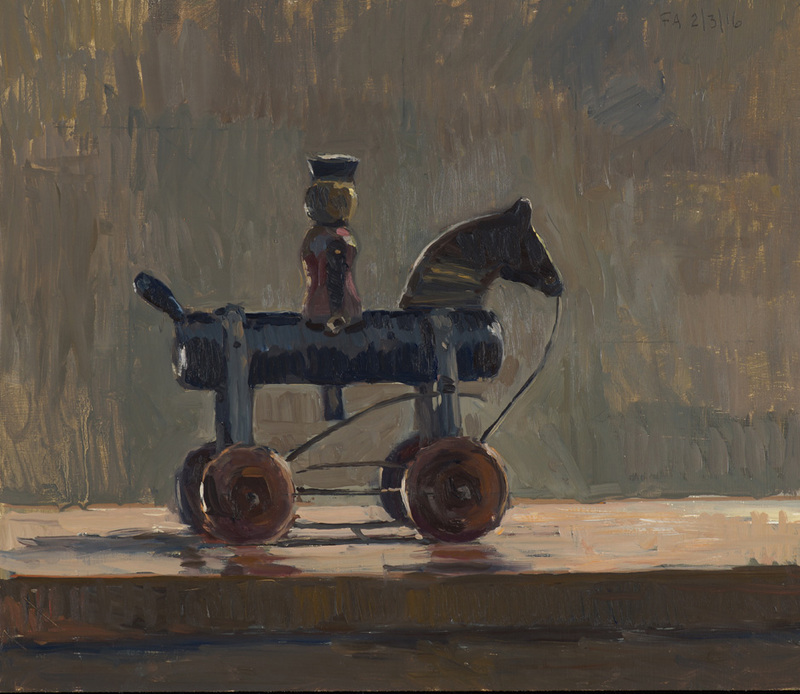 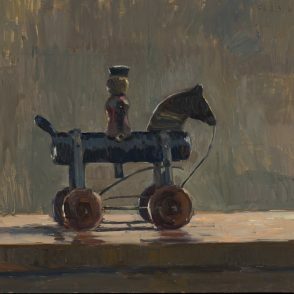 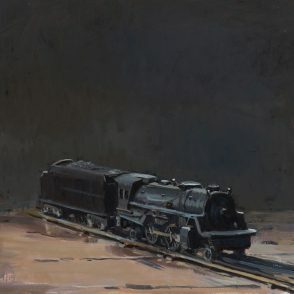 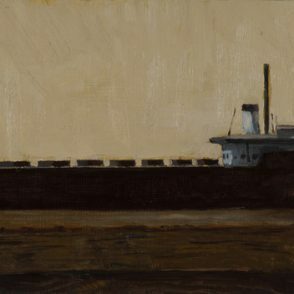 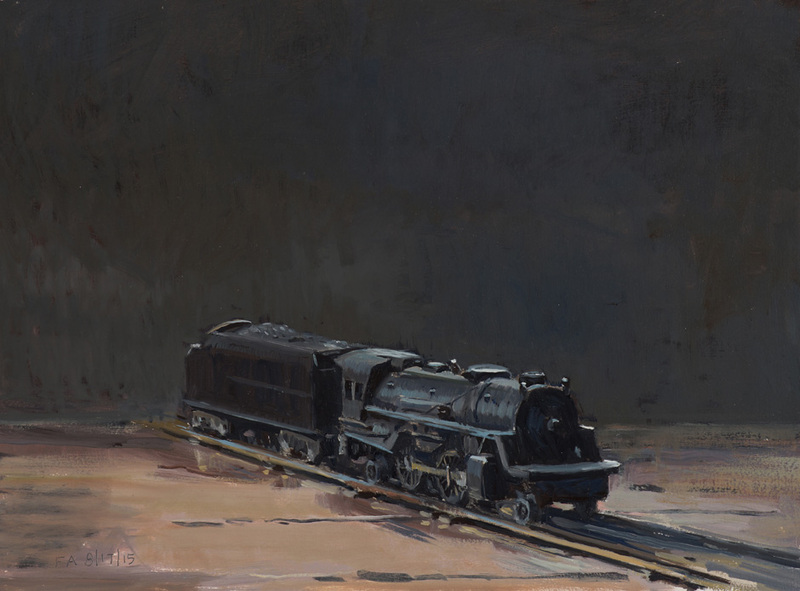 The paintings in this exhibition illustrate the spaces and objects that populate his everyday life, from still lifes of toy cars, trains and flea-market finds, to interior compositions that reveal glimpses of his home, the house around the corner, and the old farmsteads just outside the city limits. 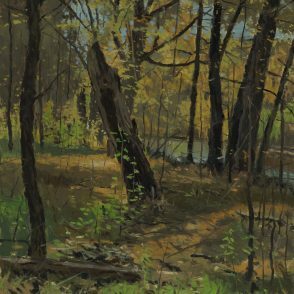 Taken as a group, this exhibition acts as a painter’s journal, a record of memorable encounters with light, composition, and landscape. 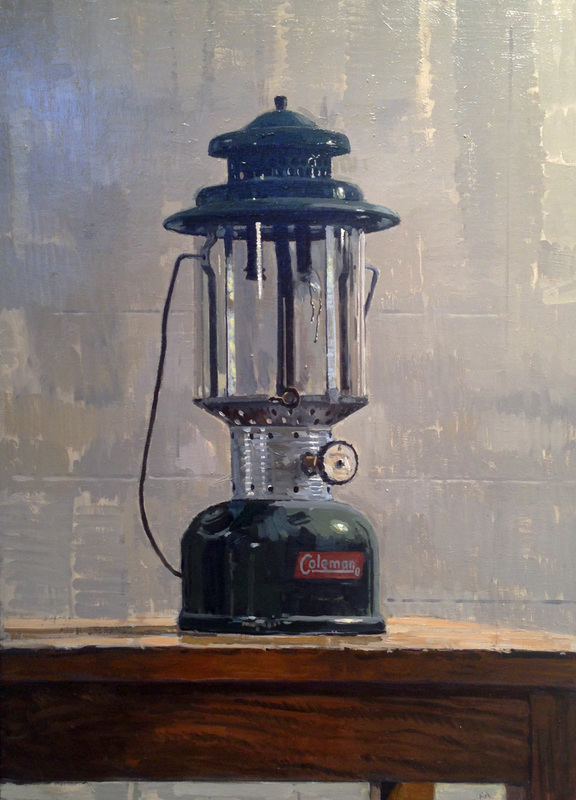 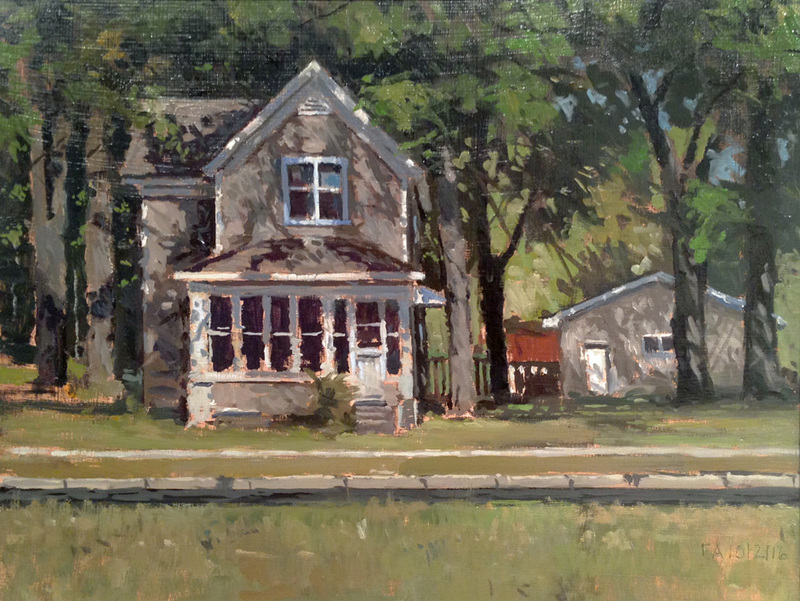 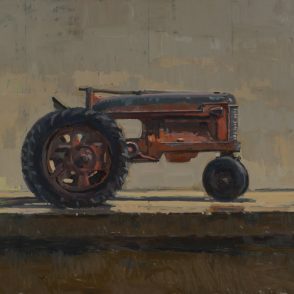 Minnesota native, Anderson has been represented by Groveland Gallery since 1993. 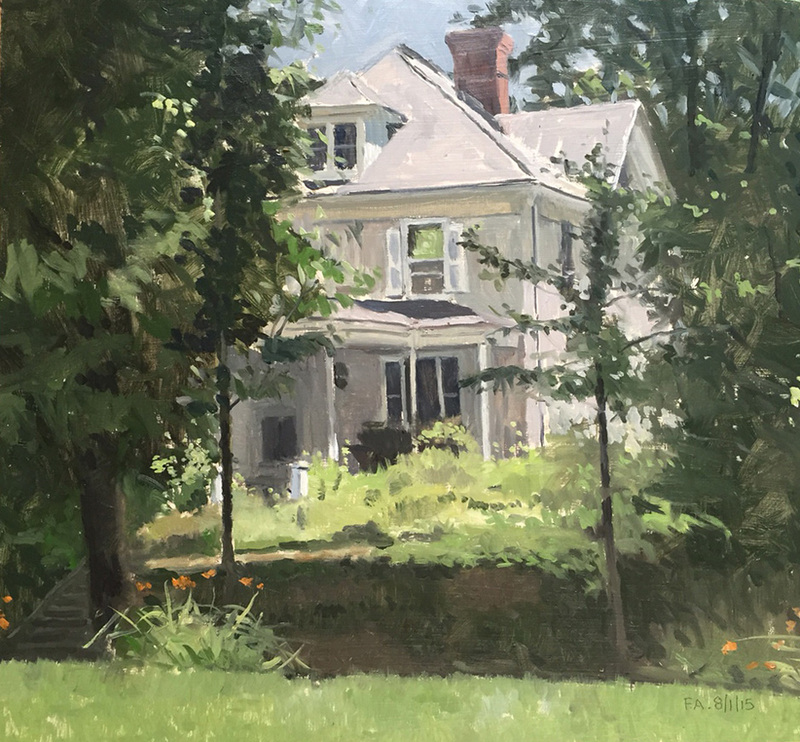 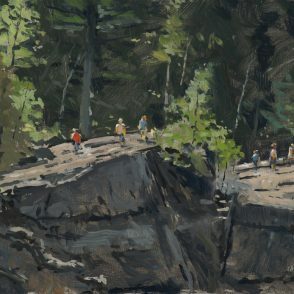 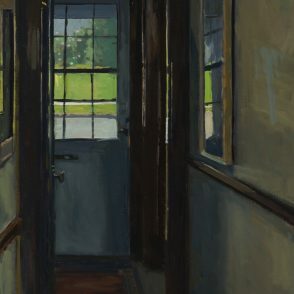 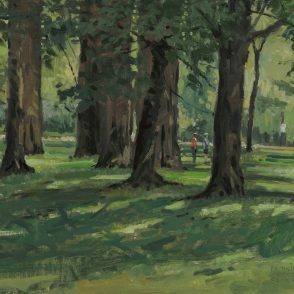 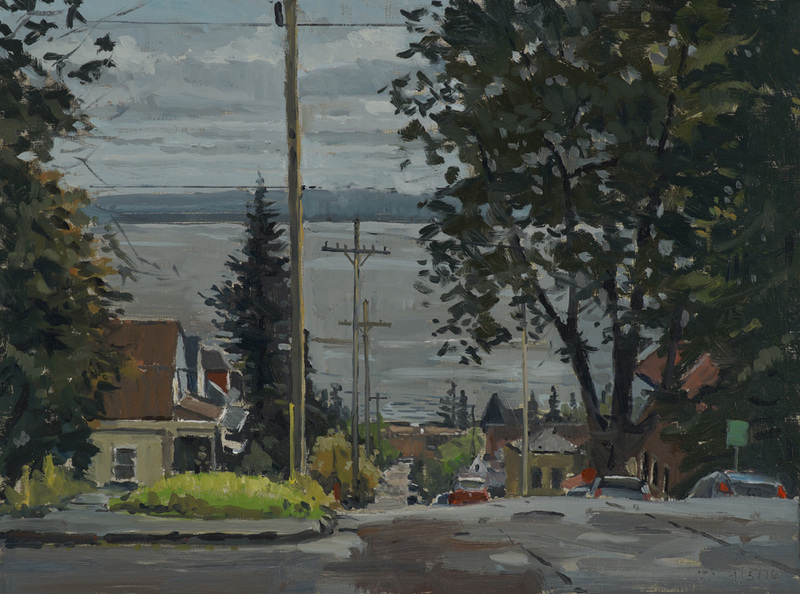 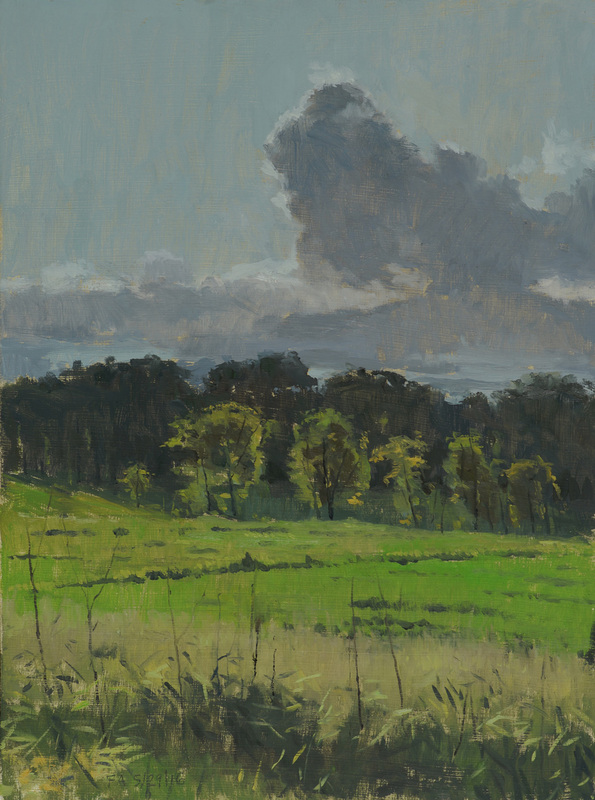 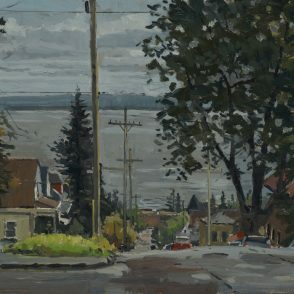 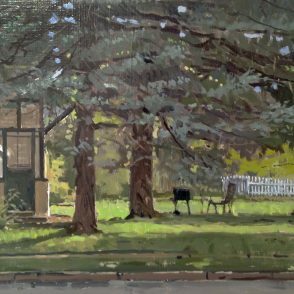 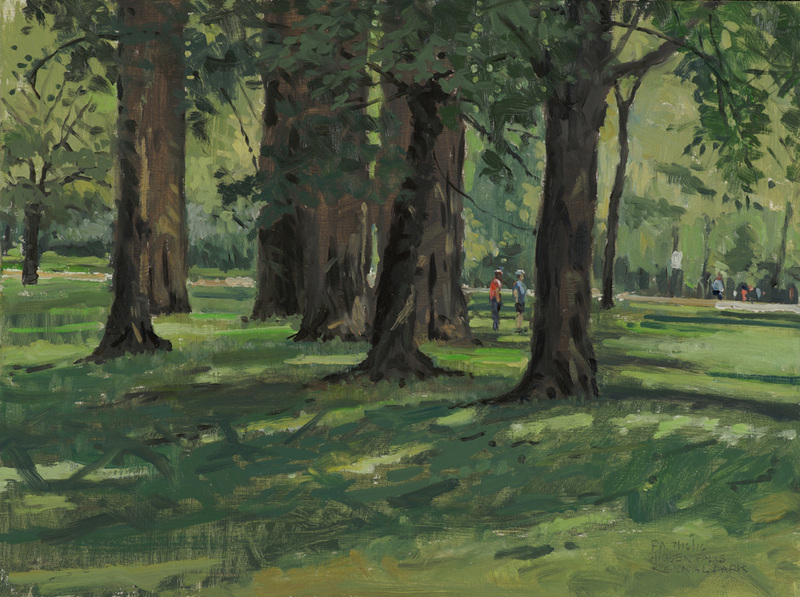 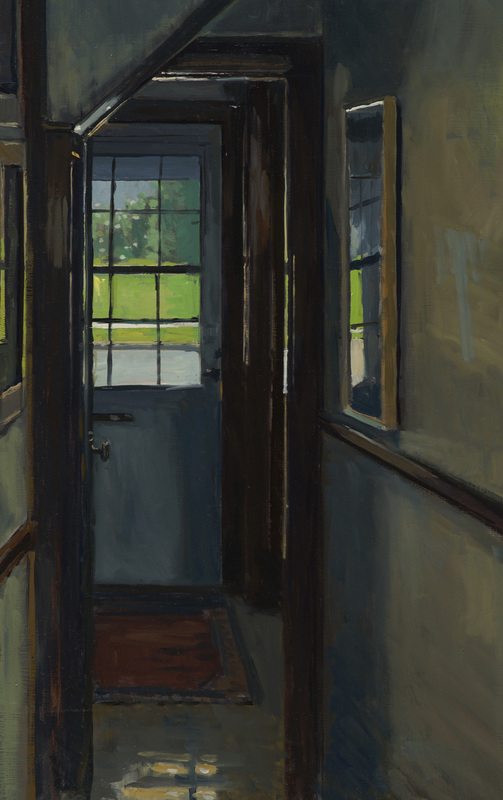 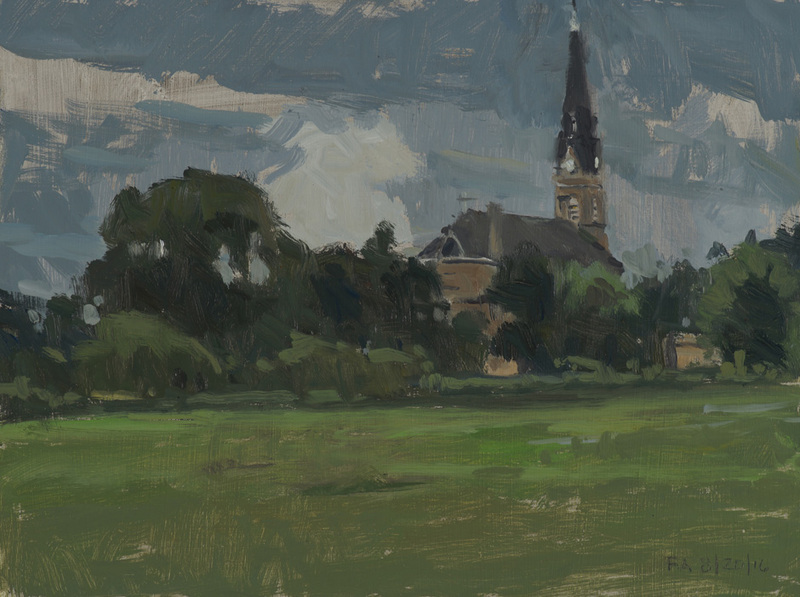 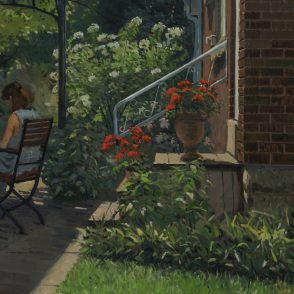 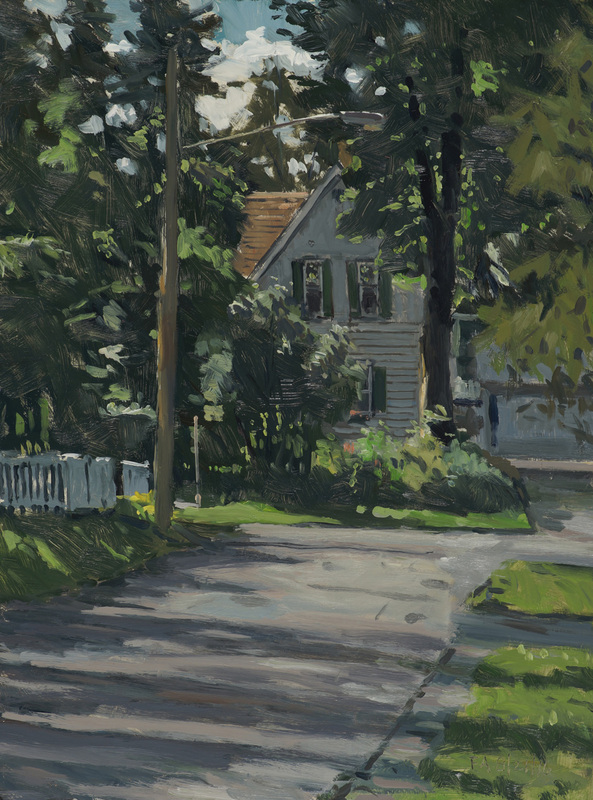 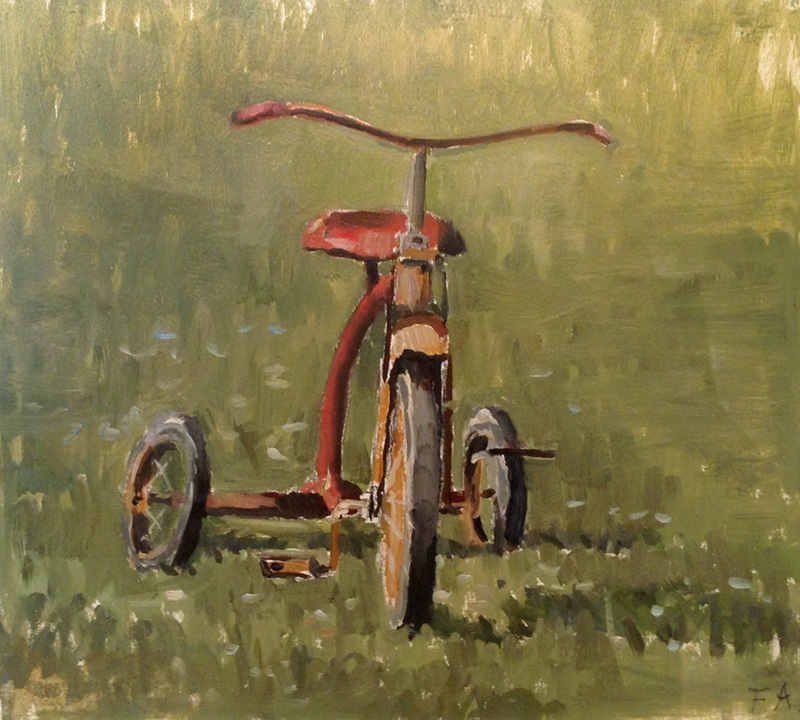 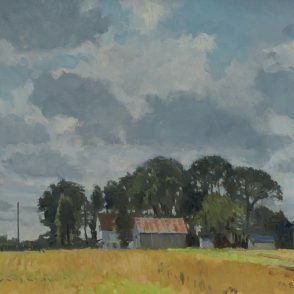 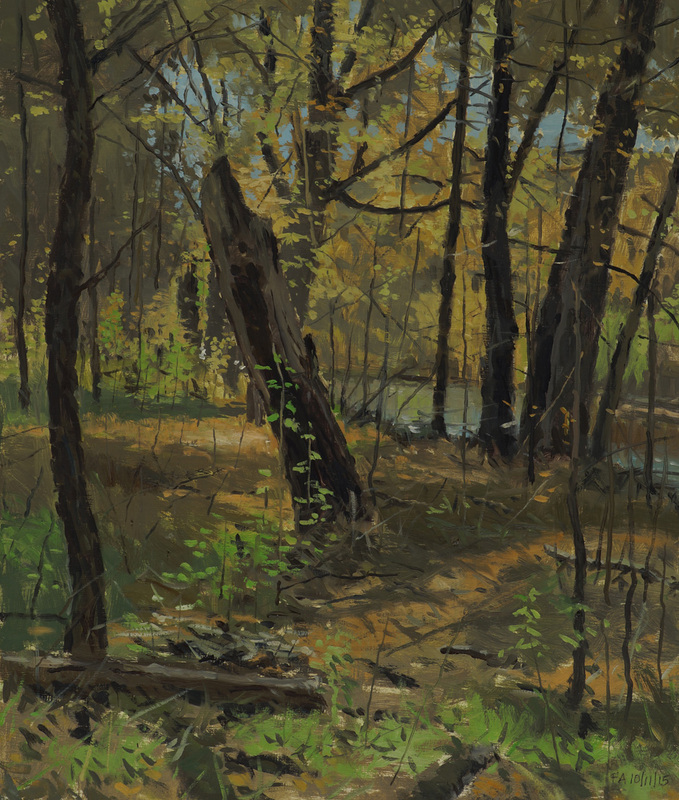 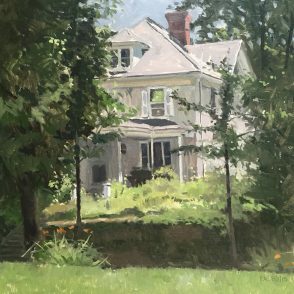 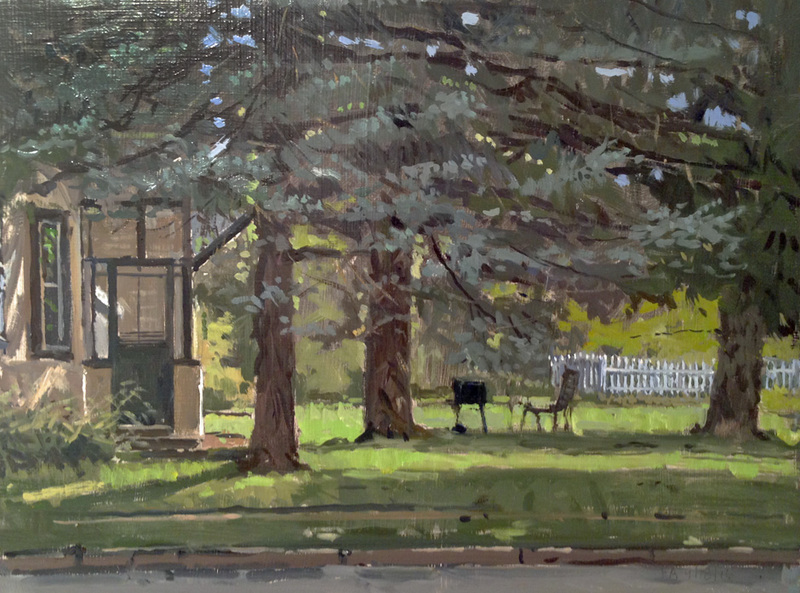 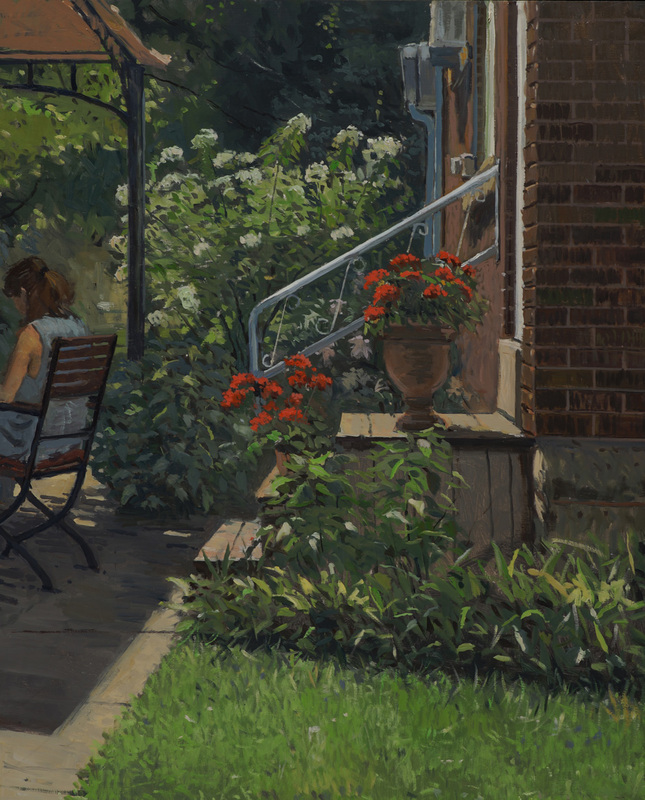 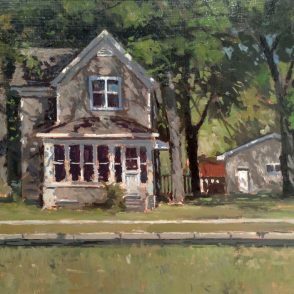 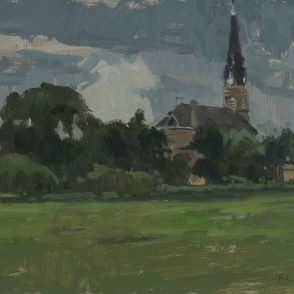 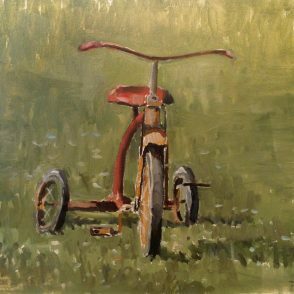 For nearly thirty years Anderson has worked in the plein air tradition, travelling the back roads and small town streets near his home in Cambridge. 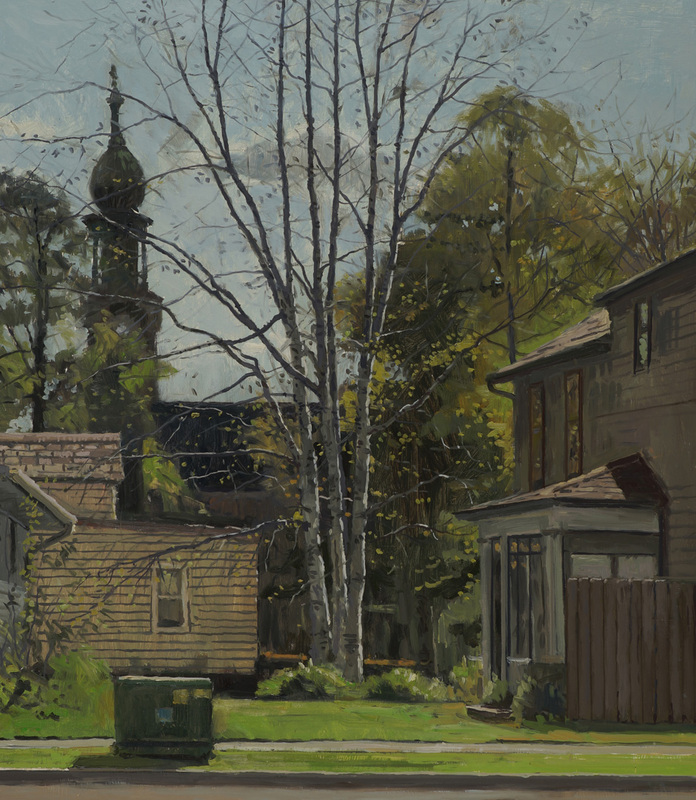 Anderson finds inspiration in roadside farmyards, backyard gardens and empty Sunday morning streets. 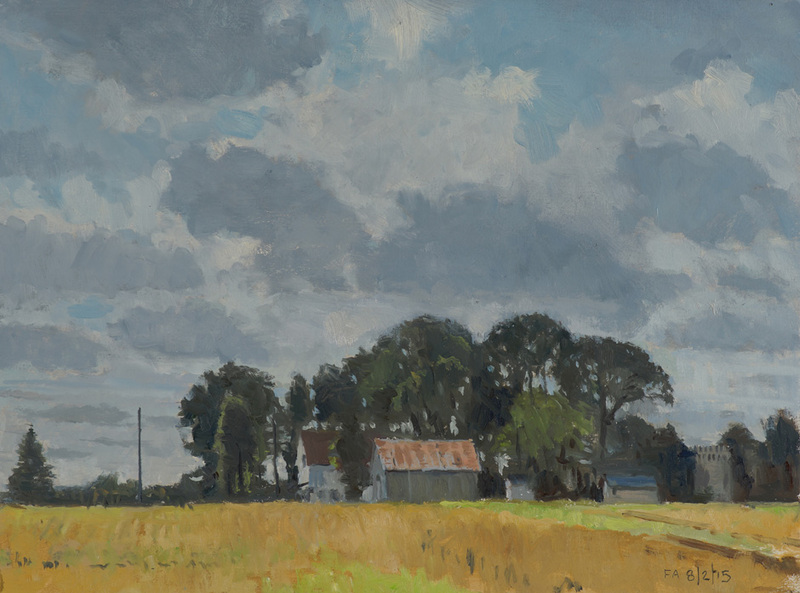 His long and familiar relationship with the Minnesota landscape is reflected in the quiet intimacy of his works. 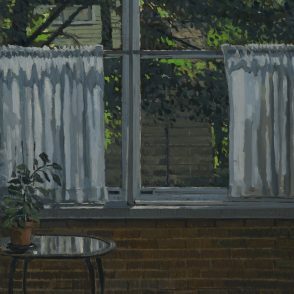 Anderson’s paintings are included in numerous Minnesota private and corporate collections including General Mills, Securian and Anderson Windows. 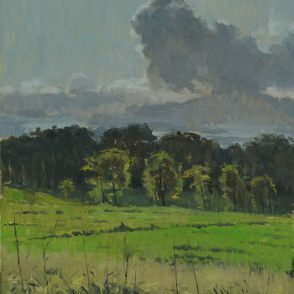 Anderson was the recipient of a 2008 McKnight Artist Fellowship grant from the East Central Arts Council. 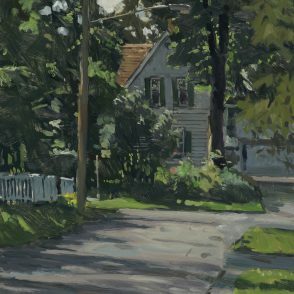 He currently resides in Cambridge, Minnesota. 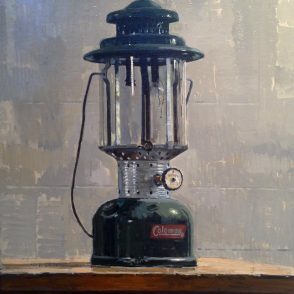 The artist will be present at the opening reception on Saturday, December 3rd from 2 to 5 pm. 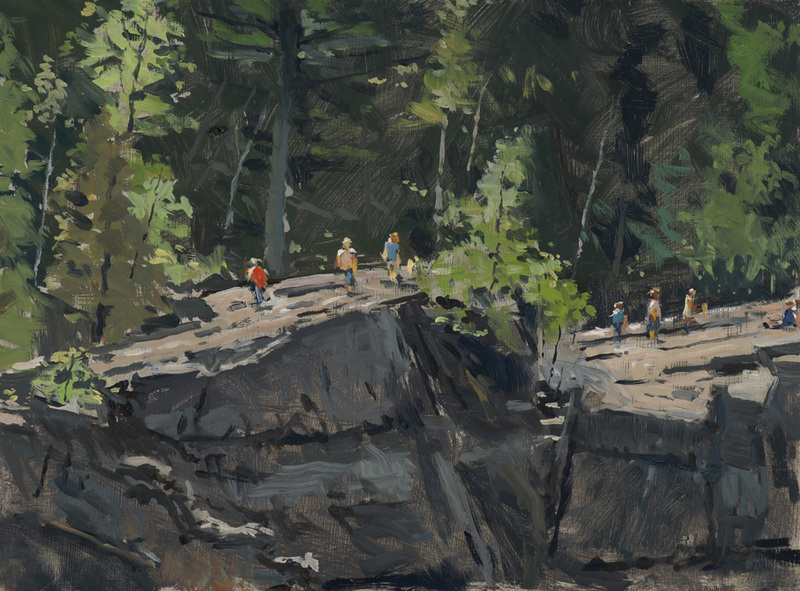 The exhibition runs concurrently with Shorelines, an exhibition of paintings by Kit Wilson in the main gallery. 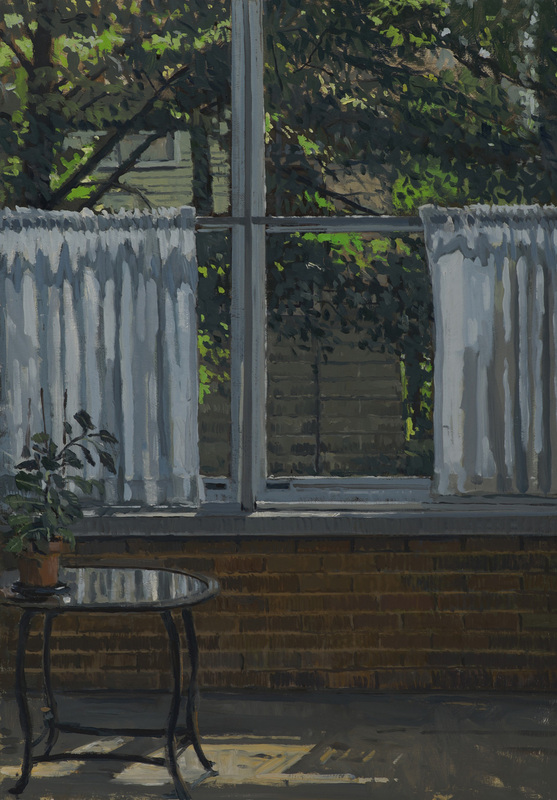 Both exhibitions continue through January 21, 2017.